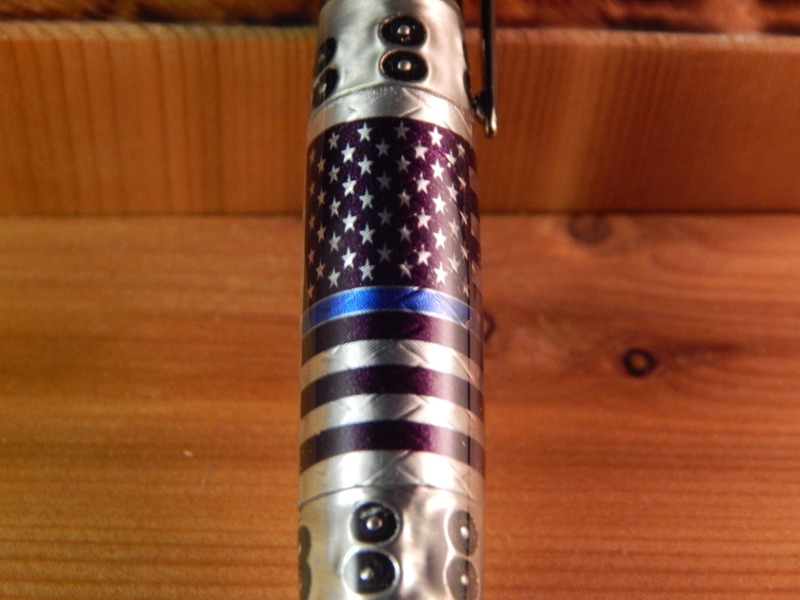 This 30 caliber bolt action ballpoint was crafted from clear acrylic which show through to the aluminum embossed United States Flag with a Thin Blue Line. 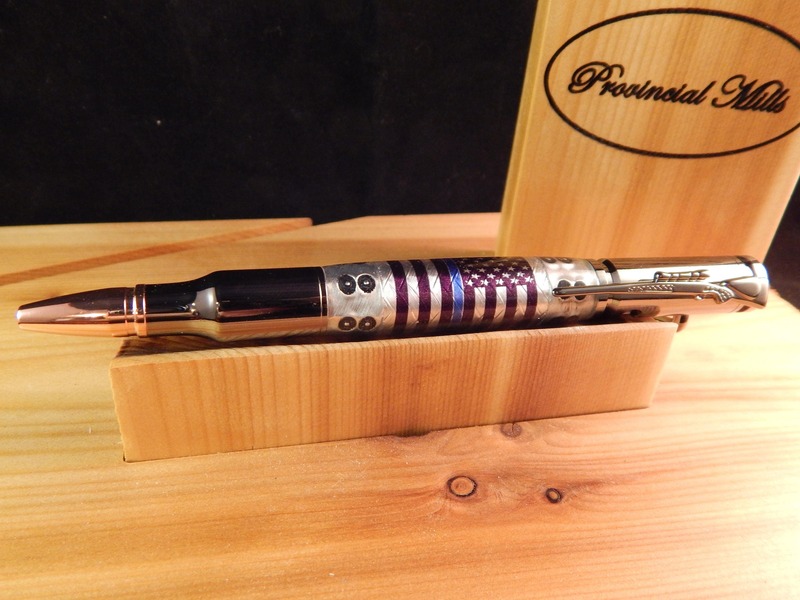 The pen fittings are gun metal which matches the emblem colors. 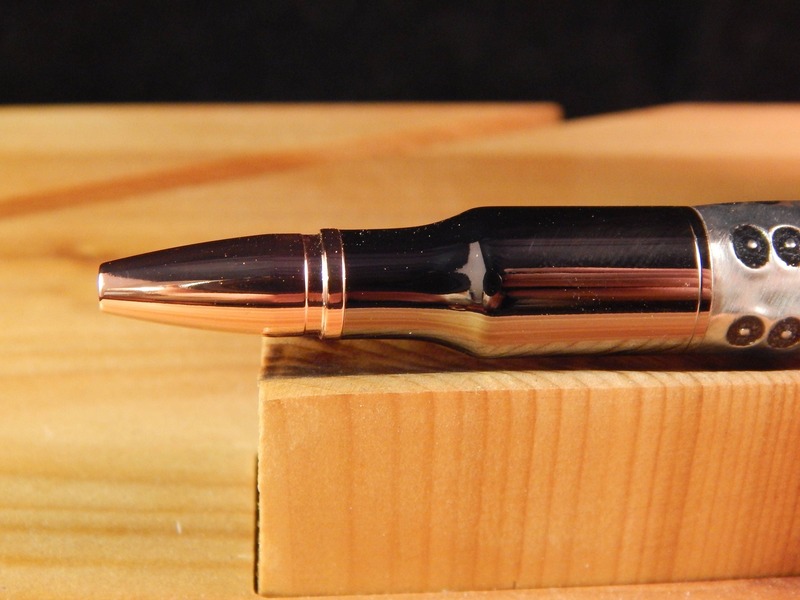 To extend and retract the ballpoint you simply manipulate the bolt action. 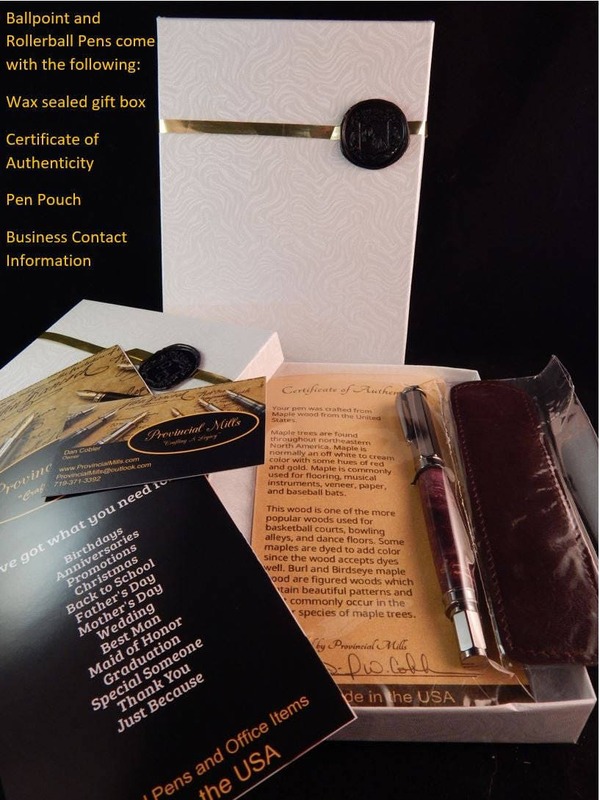 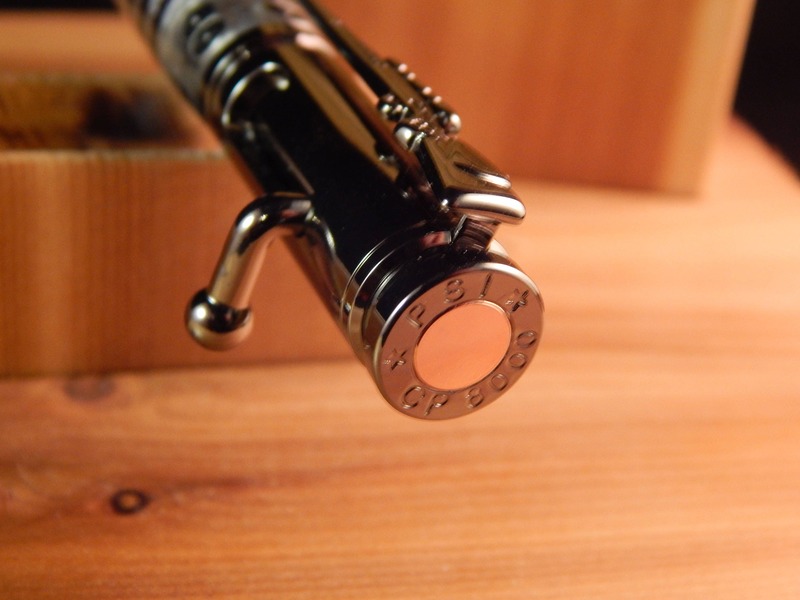 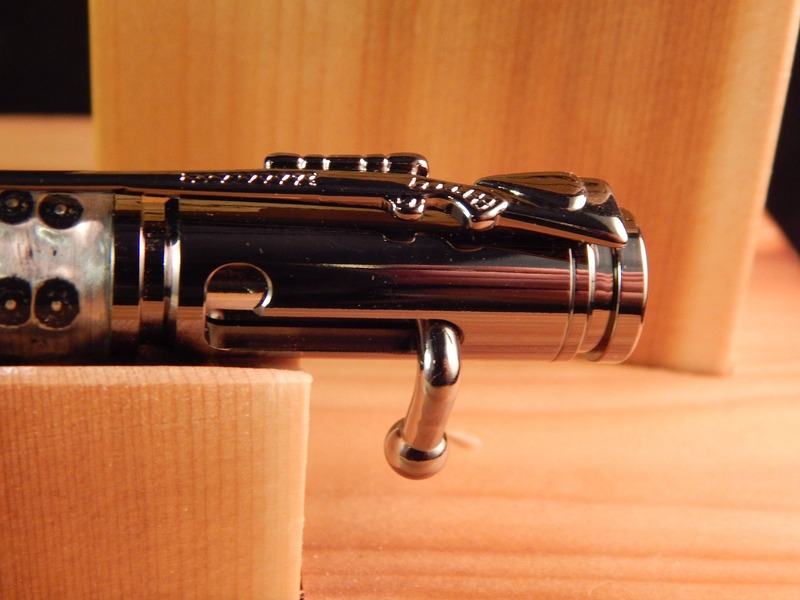 The pen clip on this pen features a rifle design and the pen takes a Parker style refill. 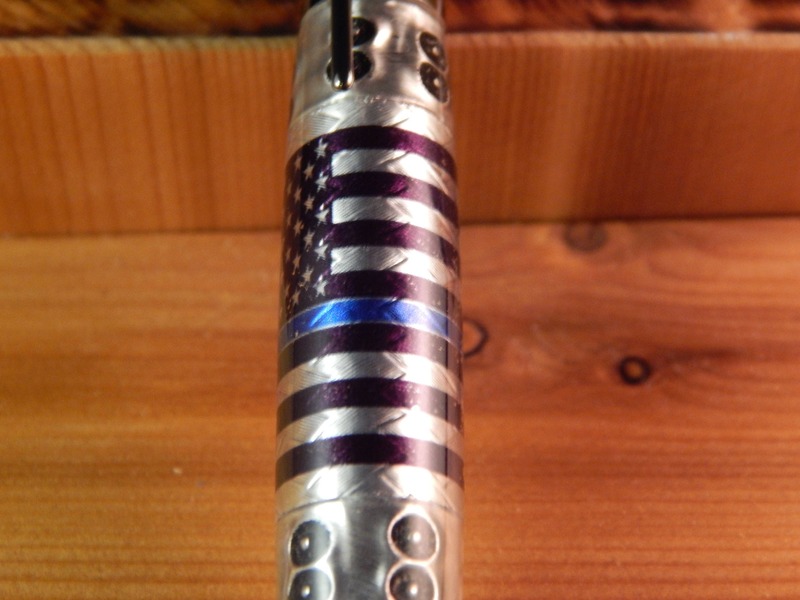 This was a birthday gift for my husband, he loved it. 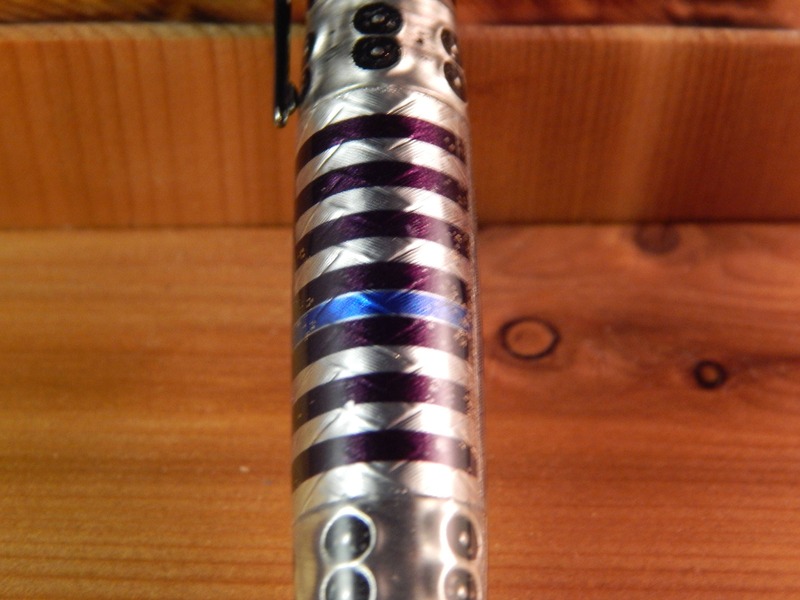 It’s very unique, he’s sure he will get a lot of compliments when he uses it at work.